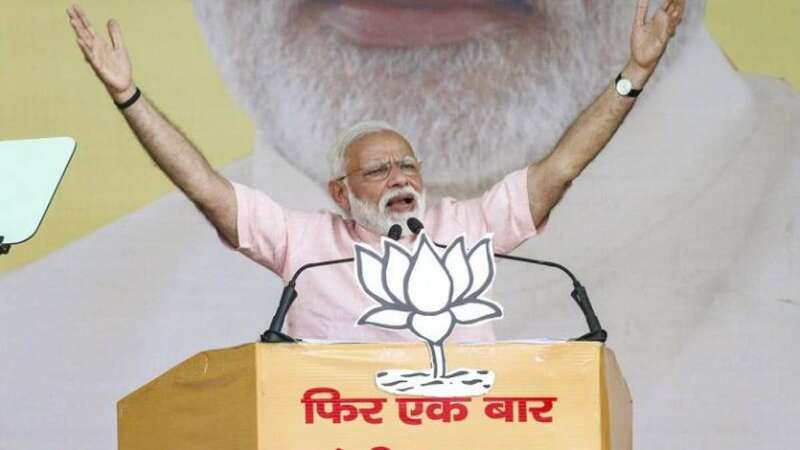 New Delhi : Lok Sabha Elections 2019 are heading closer day by day and the brand 'Modi' is playing in the campaign system. Several marketing strategies by BJP like the 'Main Hoon Chowkidar' in Twitter, NaMo TV channel, election rallies and lot more are creating Narendra Modi's positive image in every Indian living room. To surprise all, PM Modi is the most popular search term with 1.82 million searches in the year 2019. Last year, the online search for Narendra Modi was 7.24 million, reveals a new study. Also, opinion polls show that Modi is India's most popular politician and his ruling Bharatiya Janata Party (BJP) is adopting all modern methods of communication along with the traditional modes. The recently launched "NaMo TV" dedicated to the 68-year-old leader, a Narendra Modi mobile app the party says has been downloaded by 100 million people. Modi and the BJP have a combined 57.5 million followers on Twitter, four times the total for the main opposition Congress party and its president Rahul Gandhi. Modi is the world's third-most-followed politician on Twitter after former U.S. President Barack Obama and current President Donald Trump. The survey results showed that Congress General Secretary Priyanka Gandhi registered a search volume of 1.22 million in 2019 in comparison with a search volume of 701,000 in 2018. “We also studied trending keywords and popular questions related to leading politicians and found that the most searched question was ‘Who is Narendra Modi’,” Fernando Angulo, Head of International Partnership, SEMrush, said in a statement. For now, the election campaign is on full swing and Modi physically is reaching out to more than 250,000 people a day through the many rallies he addresses. World's biggest voting process will begin between April 11 and May 19. It is confirmed that the current Prime Minister Narendra Modi is the most popular politican in the country. Now, will his popularity help him to be the 'King' of all? Let's wait and watch!